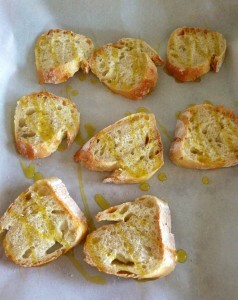 Arrange sliced bread on baking sheet.Drizzle with some olive oil. Broil for 3-4 minutes in 500 degrees oven. Using a blender or food processor,pulse spinach,basil and garlic. Then add avocado,lemon juice,salt and olive oil.pulse until well blended. 1 tablespoon olive oil + more to drizzle. Arrange bread on baking sheet. 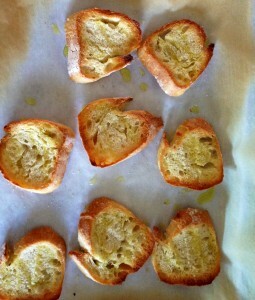 Drizzle with little bit of olive oil. Place it in the oven and toast it for 3-4 minutes. 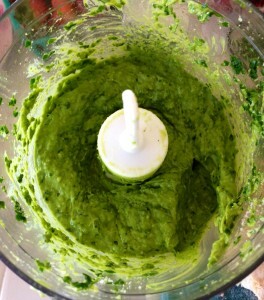 Using a blender or food processor,Blend together spinach,basil and garlic. Add Avocado,lemon juice,cheese,olive oil and salt. Pulse until well blended and the mixture is smooth. Spread avocado spinach spread on bread. 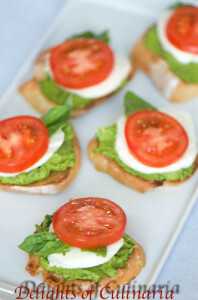 Layer with mozzarella cheese,basil and tomato. Season with a little bit of salt and fresh cracked pepper.